The Aeros Discus C is an ideal choice for the pilot looking for a high performance glider, whilst maintaining light weight and easy handling. The standard Aeros Discus has a very respectable performance but the Aeros Discus C is unbeatable for performance in its class. 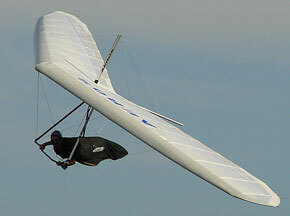 The Discus C has retained all of the remarkable features of the standard Discus. 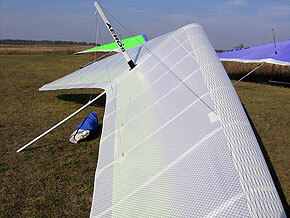 It is a simple machine which is very stable on tow and very easy to land. The handling is set up for relatively experienced pilots as well as pitch pressure, so flying fast will be comfortable and bar pressure will remain acceptable. The pulley system is modified for easier use. 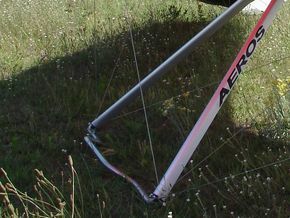 The Wills Wing litestream downtube airfoil sections are not as wide as on the Combat, but are convenient and comfortable to hold in the arms.